(Newser) – Italian scientists plan to drill 13,000 feet into the heart of an active volcanic field outside Naples. 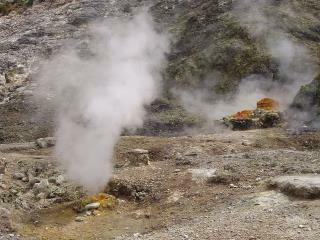 The Campi Felagria—believed by the ancient Romans to be the home of Vulcan, the god of fire—last erupted in 1583 but has been showing signs of unrest over the last 40 years. Scientists hope drilling into the site will give them some idea of when it's due to blow again, the Telegraph reports. The team says fears that the drilling could trigger an eruption are unfounded, although a similar project in Iceland was halted last year after magma was found much closer to the surface than expected. "The fact that we are so close to a big city requires attention, but it is exactly why we want to know how the volcano will evolve over the next decades," the project's leader says. Old camping rule, don't poke a sleeping bear. Didn't I see this movie on the SciFi Channel? Killed a million people and cost Michael Ironside his life, if I recall rightly.